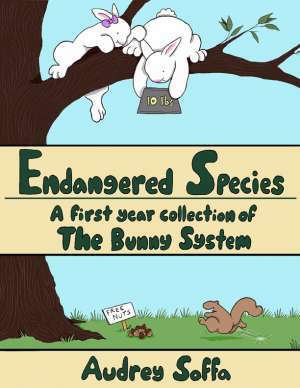 Jul 4, 2011 Welcome To The Bunny System Archives! May 27, 2011 I Said, EPILOGUE! May 25, 2011 Ahem . . . . Epilogue. You can email the author, Audrey Soffa, at acs278@nyu.edu. LiveJournal - Go there now, you know you want to. Online Portfolio - Please hire me. NYU Homepage - My other page with my Digital Art Class projects, because, what the hell, you may was well see the rest of this crap. Gunnerkrigg Court - The story is engaging, the art is fantastic, and I hate myself all over again. Penny Arcade - Consistently funny, frequently self-referential. An inspiration to us all. Something Positive - The comic is delicious, the artist a surly and inspired man. Ghastly's Ghastly Comic - All right, so I’m a pervert. Two Lumps - It’s kitties! Yaaaaaay! Penny And Aggie - An excellent story-driven comic by T. Campbell and Gisele Lagace, updated tri-weekly! Edible Dirt - A very funny comic by a buddy of mine, Matt Rosemier. The Parking Lot Is Full - PLIF Comics. Defunct, but go read them anyways…GO! Achewood - By Chris Onstad. Consistantly funny with engaging characters and stories. Why I laugh in the mornings, then look at my own comic and drink myself back to sleep.